Finally we have planning permission for phase two. We will be keeping Units 9 & 10 but are selling house Eight. This will be an amazing 3 bedrooms, two bathroom full residential Home with an adjacent large garage. 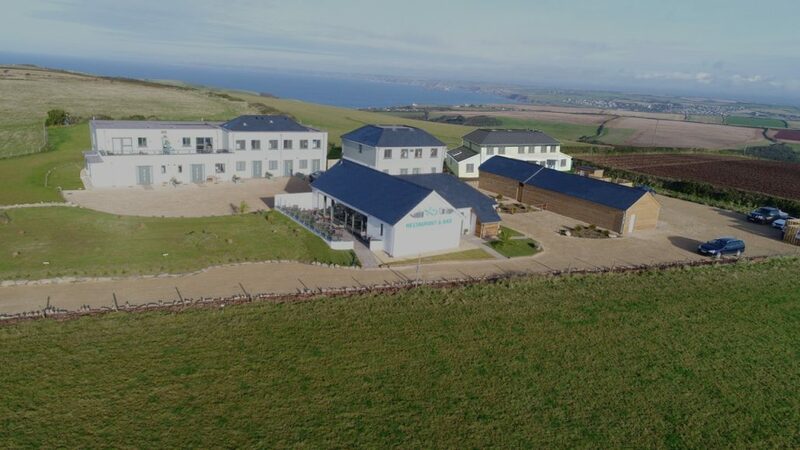 The views from this house are simply stunning with a panoramic Vista of Bigbury bay. We plan to start this phase very soon so WM Construction SW Ltd are off the site for the spring and then we can Tarmac the driveway and put in the wheelchair/friendly pathway out onto the Downs. Our friends and recent purchasers of Ocean Reach Six are soon to move in making it four lovely lots of owners who have already formed a community, which is what we hoped for. Letting has already begun with the 3 bedroom Ocean Reach Two now online to rent and we will also shortly have a two bedroom house for rental. Hazel and myself are managing the rentals to ensure peace of mind for owners and renters. Oceans restaurant has been an incredible success which is all down to the hard work of Hannah, Lizzie, Rob, Nick and their crew. They are slowly introducing new dishes to the menu which Hazel and myself are being forced to sample!! Very shortly they will be announcing their Festive opening hours and plan to go full time when a second chef joins them in February. It has quickly become a destination restaurant with the old regulars and new visitors to Bolberry Down.